1966, fifty years ago, the first community cinema of the Federal Republic of Germany was founded. Today it is not possible to imagine the cultural scene without publicly funded cinemas. Artistically, they have a much greater scope than do commercial cinemas. On 1 September 1966 the “Cinema66” in Essen was the first municipally funded cinema to open its doors in the Federal Republic of Germany; in 1970 followed the first programme of daily showings at the “filmforum” in Duisburg. 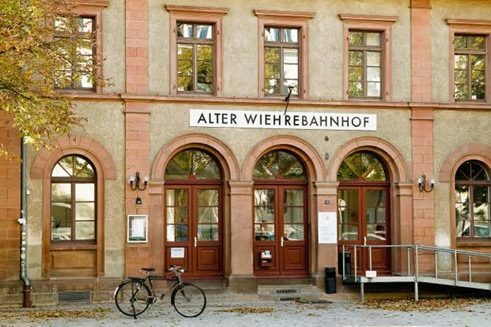 The expression “community cinema” for this kind of non-profit cultural institution was coined one year later when the municipal authorities in Frankfurt am Main founded a cinema that was directly under the control of the Office for Cultural Affairs, and so of the community. After several commercial cinema operators brought suit against the opening of subsidized cinemas as “unfair competition”, a court ruling in 1972 allowed public funding of community cinemas as “custodians of cultural heritage”. This triggered a veritable boom of new community cinemas: in 1973 there were already ten in Germany. These foundings were related to the closing of numerous film clubs that had arisen after the Second World War, explains Fabian Schauren of the Federal Association for Non-Commercial Cinemas. At the same time, many cities wanted to “professionalize the cultivation of cinematic art”. And in fact the principal of community cinema has proven itself over the decades: in 2016, there are 127 cinemas and initiatives that have joined the Federal Association for Non-Commercial Cinemas, which has existed since 1975. Any non-commercial cinema that “locally fosters cultural film work, the preservation of film heritage and of film culture” is eligible to become a member of the association. The cinemas are financed by the municipalities, though the individual financing models differ: while some cinemas are relatively free of economic constraints, others must gross a stipulated percentage of the budget. Broad as the range of community cinemas is – the spectrum runs from tiny small-town and student cinemas to highly professional film museums – they are united by a number of principles. First and foremost, of course, the freedom to choose films irrespective of their possibilities of commercial exploitation. Moreover, community cinemas nurture the preservation of film heritage: retrospectives and series form an important part of their programmes. Also, they give a forum to forms that have almost disappeared from conventional cinemas, such as experimental and short films. Finally, community cinemas often invite film-makers to talk with the audience, which creates closeness to the public. Not least because of the thirty to forty small festivals that take place at “Babylon” in Berlin-Mitte (for instance, the Berlin Chinese Film Festival), the cinema, launched in 1929, is one Germany’s most prolific arthouse cinemas. One of the first acts of Timothy Grossman, who together with Tobias Hackel took “Babylon” over in 2005 from the federal state of Berlin, was to delete the word “arthouse” from its name. You can’t fill cinemas, said Grossman, with arthouse films alone. For this cinema operator, who was born in East Berlin in 1962, a Bud Spencer retrospective has as much right to be on the screen as a restored version of Fritz Lang’s Der Müde Tod (Destiny). Once a week at “Babylon” there are midnight showings of silent films, accompanied by the organist Anna Vavilkina. There are also regular “Pram Movies” for parents with babies and the “CinemAperitivo”, an Italian film series on Sundays, with which an aperitif is served to round off the programme. Unlike Grossman, Edgar Hartung, director of the award-winning community cinema “mon ami” in Weimar, wants to show explicit arthouse films. In his office, decked out with posters of film classics such Federico Fellini’s 81/2 and David Lynch’s Mulholland Drive, Hartung tells of the challenge of running a community cinema in a tradition-steeped cultural capital like Weimar. It is always a matter of using existing infrastructures wisely. Only in this way, he says, can you achieve the balancing act of remaining faithful to your own standards in selecting the programme while not overstepping the financial framework. “Mon ami” is financed up to fifty percent by funds from the city; another 25 percent comes from the revenue generated at the box office; and the remaining 25 percent must be obtained through third-party funding. As for personnel, “mon ami” has been chronically understaffed for years. Hartung has to make do with two or three part-time employees. With 750 showings and almost 15,000 visitors a year, this is not easy. The staff arrangements at the “Caligari Filmbühne” in Wiesbaden are much more convenient. In addition to the theatre manager Uwe Stellberger, there is a colleague responsible for public relations and programme design. Another staff member takes care of the children’s cinema, and there are part-time employees responsible for book-keeping, admission and screening. The cinema, which was built in 1926, also has the advantage of not having to gross a minimum share of the budget: losses are offset by the city. This allows Stellberger and his team to concentrate completely on showing films and playing host to numerous festivals, which have made the “Caligari” known far beyond Wiesbaden. Like his colleagues in Berlin and Weimar, Stellberger faces the challenges of the future with equanimity. The announcement of the online video shop Netflix, for example, that in coming years it will show more films on its website which are simultaneously being shown in cinemas, fails to ruffle them. This is more a problem for commercial cinemas. And in fact only few community cinemas have had to shut their doors in recent years. Even budget cuts have been rare. The introduction of the minimum wage in Germany, on the other hand, has confronted some community cinemas with greater difficulties. But the very small cinemas have only rarely been affected by this: they are run anyway mainly by volunteers. Andreas Resch is a writer and film critic based in Berlin. In his youth the “Caligari Filmbühne” in his hometown of Wiesbaden was a lifeline amidst a cinema scene otherwise dominated by the mainstream.